Eat Healthy in Houston Without the Hassle! Taste, convenience, and health. These are the three things every person wants out of a meal, and that’s precisely what you get with Gourmet Daily’s Houston meal delivery service. The saying goes ‘Everything’s Bigger in Texas,’ if you live in Houston can attest to this. Although, one of the things you don’t want to be bigger is your waistline. A local meal delivery service is a great way to get your health back on track. Unlike restrictive diets and grocery shopping, with meal delivery, most of the work is done for you. Healthy meals come complete and delivered to your door. Research and time have been put into coming up with great recipes that get you all the nutrients you need while also tasting delicious, all you have to do is heat them up. A lot of people think that to eat healthily, you have to sacrifice taste. 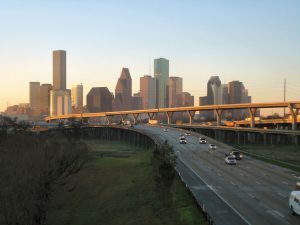 If you grew up in Houston, you probably ate out a lot with your family and are used to the wide variety of delicious cuisine the city offer. Getting healthy doesn’t mean you have to miss out on that, with our Houston meal delivery service we combine fresh ingredients and chefs expertise to create both delicious and nutritious meals that you will love. With our convenient delivery to your home or office address in Houston, you will be able to free up your time. The busy lifestyle of the city means most people don’t have time to prepare healthy meals at home and instead go for one of the abundances of unhealthy grab-and-go options around them. Well, no longer, with our service you won’t have to spend time researching meals and going to the grocery store. Your health will be taken care of, giving you more time to spend on the important things in life. “I wanted to let you know that during the look hot before you tie the knot contest that I lost 25 pounds in 90 days!”….